Doris L. Martin is a Partner/Director at Garfunkel Wild, P.C., where she heads the Personal Services and Estate Planning Practice Group and the Tax Group and is a member of the Discharge Planning - Patient Rights and Elder Law Group. Ms. Martin advises clients on estate planning, administration, and litigation, charitable giving, elder law, tax-exempt organizations, and qualified retirement plans. Since joining the firm in 1994, Ms. Martin’s practice has encompassed all aspects of estate planning, including wills, revocable trusts, charitable trusts, insurance trusts, qualified personal residence trusts, grantor retained annuity trusts, family limited partnerships, retirement plans, and asset protection; all aspects of estate and trust administration, including probate post-mortem planning, and estate tax returns; Medicaid and elder law planning, and the establishment and operation of tax-exempt organizations for individual clients and tax-exempt organizations. She also works with families of special needs individuals, establishing Supplemental Needs Trusts and advising families on Medicaid matters and other governmental benefits. She also has represented organizations devoted to working with special needs children. 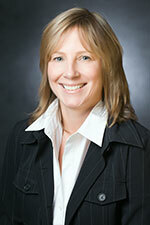 Ms. Martin has particular experience in estate planning for physicians. Ms. Martin frequently writes and lectures on estate planning. Prior to joining the firm, Ms. Martin was an associate in the trust and estates departments at Paul, Weiss, Wharton, Rifkind & Garrison, LLP and Simpson, Thacher & Bartlett, LLP. Ms. Martin is a past secretary of the Trusts, Estates and Surrogate’s Court Committee of the New York City Bar Association and is a current member of its Estate and Gift Tax Committee. She also served as a member of the Board of Directors of North Shore Child and Family Guidance Center, a mental health services provider to children and families and served on the Board of Directors of the Tender Loving Care Foundation, a foundation devoted to improving the experience of parents with children in neonatal intensive care units. She currently serves on the Board of Trustees of the Douglaston-Little Neck Historical Society.